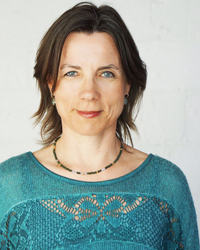 Christiane Wolf, MD, PhD, is a physician turned mindfulness and MBSR teacher and teacher trainer. She has been practicing insight meditation for over 25 years. Trudy Goodman, Jack Kornfield and Jon Kabat-Zinn are her main teachers. Christiane is a senior teacher at InsightLA where she is the Director of MBSR programs. She is a graduate of the Spirit Rock/IMS/IRC teacher training and the co-author of A Clinician's Guide to Teaching Mindfulness. Christiane lives in Los Angeles with her husband and three children. For more info please visit: www.christianewolf.com.